Save the ramps! Eat the field garlic! I collected this bunch of the invasive onions - often called lawn chives - in Inwood last weekend. We ate them in a wild pasta Alfredo and in the pan juices of a roast chicken. 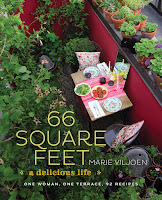 Some of the greens will go into a loaf of cheese bread for a walk I am leading in Central Park this Saturday. At Wholefoods in Gowanus I saw some sad, skinny, limp little ramps retailing at $11.99/lb. This was a week ago. The smallest ones were pencil-thin. 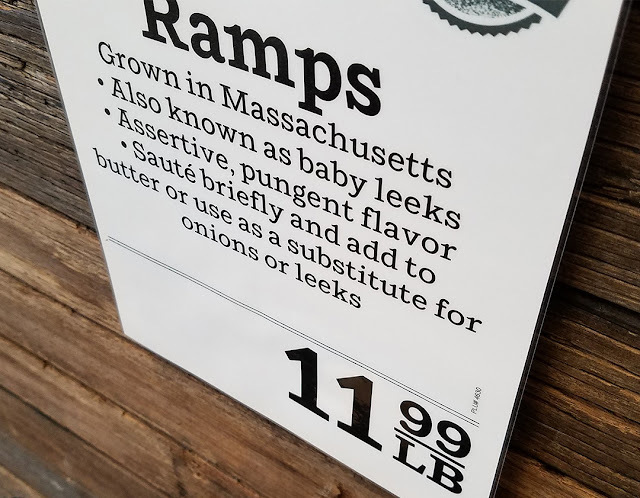 There ought to be a minimum size requirement for ramps, like with fish and lobsters. 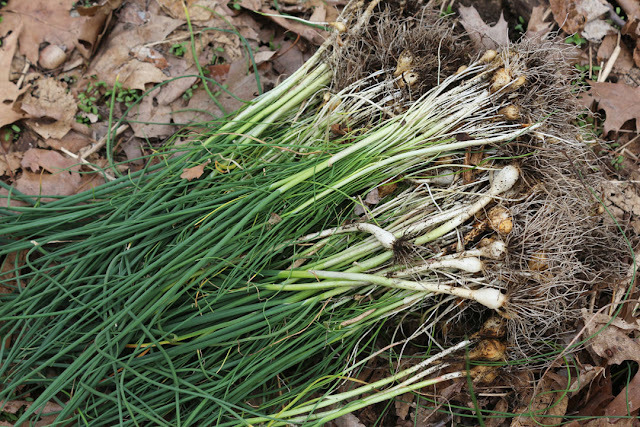 Ramps (Allium tricoccum, an indigenous plant) grow very slowly, and are being overharvested in many wild areas. They are listed as vulnerable in NY. The perplexing thing was that the sign said "grown in Massachusetts." 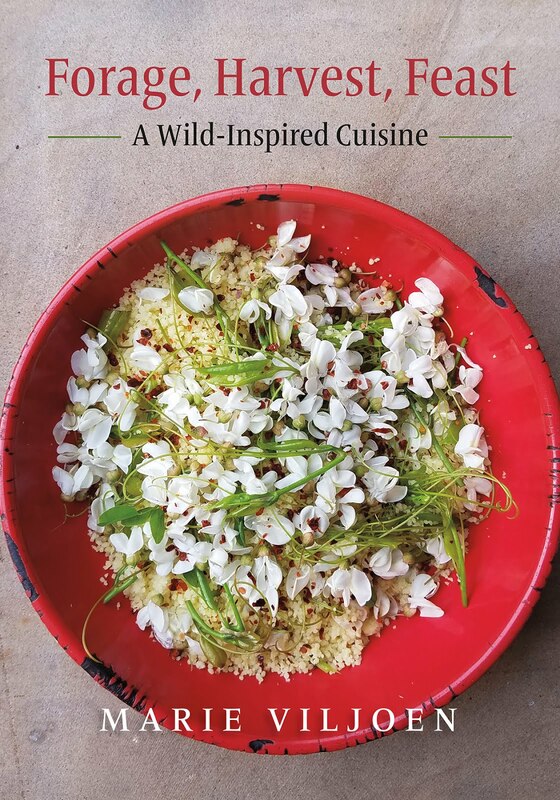 Grown, rather than foraged from the wild? I know of no ramp-growing enterprise, anywhere. And one week ago it was too early to be finding ramps in MA, because they have only just appeared locally. Can anyone enlighten me? The ideal way to deal with a patch of ramps is to harvest a leaf from each of several clumps - the leaves are packed with flavour, and very tender. And if you must collect a bulb, pick the fattest in the clump, and slice it just above the root. This takes more time for you, the ravenous forager, but it allows the rest of the clump to keep on trucking, rather than being rampocided into wild food memory. About growing ramps: They are challenging to cultivate, as the seeds take months to germinate, but if you have humus-y soil, spring sunlight and summer shade (under a high cover of deciduous trees), then you're in business. My friend Steven Schwarz (Delaware Valley Ramps) sells bulbs in the fall as well as live plants in spring. 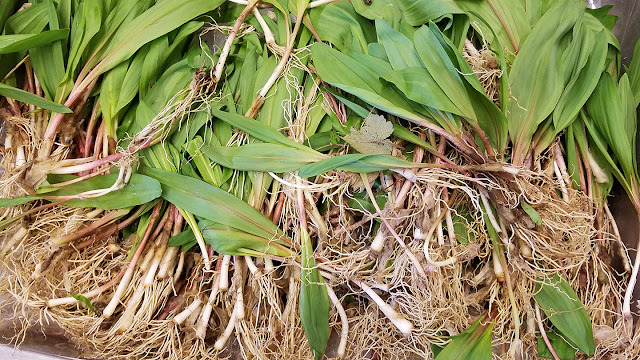 We're selling sustainably harvested foraged ramps in Woodstock. Just one of the three leaves is clipped, allowing the bulb to be nourished and the patch to make a full comeback next year. Please spread the word that if a forager happens upon a patch of ramps with only two leaves, that patch has already been harvested and forager please should leave them. Thank you, Anonymous. Who are you? A terrific and enlightening post! I shall pass it along.